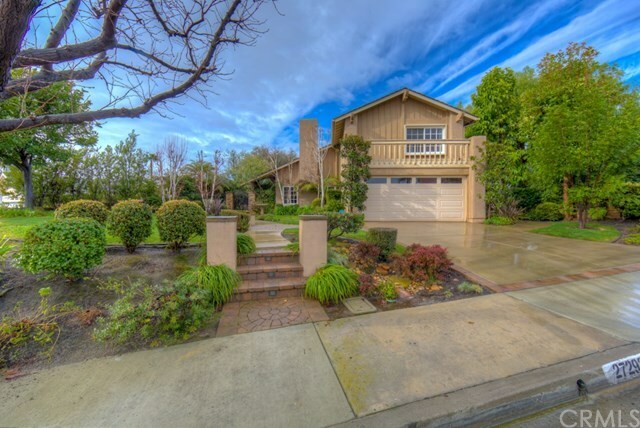 Beautiful, move-in ready home in the desirable Castille neighborhood of Mission Viejo. Spacious 4 bedroom, 3 bath model with 1947 sq ft on a corner lot with all the amenities buyers are looking for including: Gorgeous VIEWS out the front and back of the house, downstairs bedroom and bathroom, a very private, sparkling backyard pool & spa with fireplace and built-in BBQ. Lovely manicured landscaping all around the house. The light and bright interior exhibits pride of ownership throughout with many âsmart homeâ features, a formal dining room, open concept Chefâs kitchen, breakfast bar, high-end stainless steel appliances, granite countertops, surround sound speakers, brand new A/C, Elfa closet systems and so much more. Close to everything you love about Mission Viejo: Coveted Capo Valley schools, Lake Mission Viejo (with privileges), walking distance to parks, schools and shopping. This is a one-of-a-kind South County home you don't want to miss. Directions: Heading east on Alicia Pkwy from the 5 freeway, pass Trabuco Canyon Road and make the first right onto Via Burgos, head up the hill and the home is on the right.